Accomplished off road racer, Stefan Granquist, will join Josh Green and Tom McCormack to make a three man team fielded by Active8 Yamaha in this year’s AORC and A4DE. 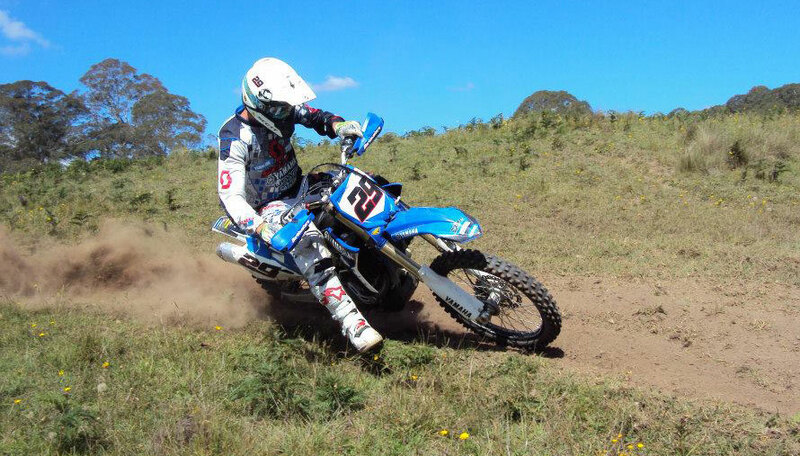 Granquist will compete on the Yamaha WR450F in the E2 class, giving Active8 Yamaha a legitimate chance in all three national classes contested in Australian Off Road championships. Granquist has been a strong and consistent racer since arriving in Australia several years ago and is a regular visitor to the podium in recent seasons. These results haven’t gone unnoticed by team manager AJ Roberts and he has rewarded Granquist with the factory assisted ride for 2014. “Stefan is a real warrior in the off road world and battles on relentlessly in all situations and conditions. He has been a loyal Yamaha rider and was the perfect fit for our team as we needed to fill the vacant E2 seat. “Stefan will bring some valuable experience to the team and I believe he will be a serious contender as the year unfolds,’ AJ explains. Granquist is excited by the new ride and working with an established team like Active8 Yamaha can only enhance his results. “The step up in support from AJ and the Active8 Yamaha team has been amazing,” states Stefan. “Just having another set of eyes and hands on deck as well as some advice is a huge benefit and one that I will take advantage of. “I’m also excited to be on board the WR450F for 2014. I really gel well with the bike and I love riding it. The Active8 Yamaha team has plenty of knowledge about the bike after Josh raced it in 2013 and I look forward to a great year with Yamaha and the team,” he ends. Granquist will make his debut with the Active8 Yamaha team this weekend at the opening round of the Australian Enduro-X at Archerfield Speedway in Brisbane. He and Tom McCormack will be in action for the team with Josh Green on the sidelines with a recent arm injury. McCormack will be on board the all new YZ250F while Granquist has decided to pull out the YZ250 two stroke as his weapon for the weekend.